Your Mercedes-Benz vehicle is a high-performance machine designed for impressive power and handling. Routine maintenance helps to keep it in like-new condition, so it continues to perform as well as it did the day you first drove it home. One aspect of scheduled maintenance that can be neglected is wheel alignment. Your wheels and tires are integral to your vehicle’s overall functionality, and if they are not properly aligned your vehicle’s performance can suffer. The tire center at Mercedes-Benz of Honolulu is the best choice for Honolulu drivers in need of wheel alignment for their Mercedes-Benz vehicle. A wheel alignment is a service in which a technician readjusts the angles of the wheels, so that they are set to the car manufacturer’s specifications. This is a standard maintenance procedure, and is typically done during oil changes or when you receive new tires. Knowing when you need a wheel alignment is easy, because there are plenty of telltale signs to look for. First, if your vehicle starts pulling to the right or left when you drive, and the steering wheel is pointing at center, it’s a sign you likely need an alignment. Additionally, uneven wear and tear on your vehicle’s tires is another indicator that an alignment may be due. Other warning signs include squealing tires and an off-center steering wheel. Who Should Perform an Alignment? Some drivers opt to perform alignments themselves, but it’s always a good idea to rely on a trusted technician to handle the job. When you drive a Mercedes-Benz vehicle, you should choose the expertise of Mercedes-Benz Certified Technicians. These trained professionals know the Mercedes-Benz brand, and can help ensure your tires have been properly aligned for added safety. Unlike general mechanics, our technicians have the knowledge of Mercedes-Benz vehicles to also check for signs of developing problems during wheel alignments. Choose Mercedes-Benz of Honolulu for Your Wheel Alignment Needs! 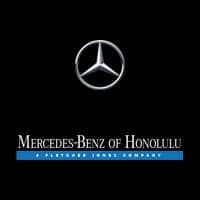 When you’re in need of a wheel alignment, or any type of service on your Mercedes-Benz vehicle, turn to the experts at Mercedes-Benz of Honolulu. Our trusted team of technicians will get the job done right and provide you with the peace of mind needed to hit Ewa Beach and Waipahu roads in confidence. Visit our dealership today at 818 Kapiolani Boulevard to explore our service center. You can also schedule your appointment online, or by calling us at (808) 592-5151.